LEWISTON, Maine — A new coalition aimed at defeating a November ballot question that will ask Maine voters to make marijuana legal for recreational use is growing, according to a release from a coalition leader Tuesday. Mainers Protecting Our Youth and Communities includes parents, health experts, clergy and police, said Scott Gagnon, the coalition’s spokesman and chairman of Smart Approaches To Marijuana, which previously worked to successfully defeat a Lewiston ballot question to legalize marijuana in that city. Gagnon said there are no penalties, criminal or otherwise, in the initiative for selling or furnishing marijuana to minors, and no penalties for adults who provide a place for minors to consume marijuana. But supporters of the ballot question, including David Boyer, spokesman for the Campaign to Regulate Marijuana Like Alcohol, said current law already prohibits the sale of marijuana to minors. “It’s already illegal, that’s why we didn’t put it in there — it’s going to remain illegal,” Boyer said. Boyer also said Gagnon’s claims that emergency room visits in Colorado have spiked since that state legalized recreational marijuana are misleading. Dakota D. Hustus, 18, of Morrill, violation of a learner’s permit. Geoffrey R. Bird, 72, of Belfast, failure to register motor vehicle; inspection sticker violation; no proof of insurance. Brandon M. Porter, 18, of Belfast, inspection sticker violation. Brian Fogg, 26, of Belfast, possession of a usable amount of marijuana; operating under the influence; leaving the scene of a personal injury accident. Valerie Fargo, 44, of Belfast, failure to give notice of accident by quickest means; operating with expired license. Benjamin Morgan, 26, arrested on a warrant for unpaid fine. Randy S. Fairbrother, 35, of Prospect, improper plates/illegal attachment of registration plates. William Snow, 37, of Belfast, violating conditions of release. Apolina G. Aguirre, 26, of Searsport, arrested for disorderly conduct; criminal trespass. Richard W. Garland, 69, of Milo, inspection sticker violation. Rebecca L. Anderson, 31, of Warren, operating motor vehicle with expired license. Two state representatives and a rheumatologist from Peaks Island are fighting for the Democratic nomination to represent part of Portland in the Maine Senate. Rep. Ben Chipman, Rep. Diane Russell and Dr. Chuck Radis will compete in the June 14 primary for Senate District 27, which covers the eastern half of the city and its islands. The winner will be considered a shoo-in to win the general election against Republican Mark Lockman in November, because of the party’s dominance in the city, where there are 26,000 registered Democrats and 6,900 Republicans. The seat is being vacated by Democrat Justin Alfond, the former Senate president and current Senate minority leader, who cannot run again because of term limits. Three seasoned politicians are vying to fill a vacant seat representing parts of Portland and Westbrook in the Maine Senate. State Rep. Mark Dion, former state Rep. Ann Peoples and longtime Portland City Councilor Jill Duson are hoping to earn the Democratic nomination in the June 14 primary to replace Sen. Anne Haskell, who is retiring from politics, in District 28. The winner will run against Republican Karen Usher of Westbrook in November with a significant advantage in this liberal-leaning district. BIDDEFORD – At a joint workshop Monday, May 21, the city council and planning board discussed whether to regulate non-residential marijuana growing operations allowed under the state’s medical marijuana laws. According to the statute, any person who has been granted permission by a doctor to use medical marijuana may designate a caregiver responsible for growing and maintaining their marijuana supply. A caregiver can provide marijuana for up to five patients, growing up to six mature plants at a time for each patient. City Solicitor Keith Jacques said more caregivers are seeking to share space together to share costs and to grow plants outside of their homes. City Manager Jim Bennett said he would like some guidance from the city council on whether production facilities of caregivers should be regulated, and if so, how. “Do you want to attempt to regulate caregiving growing? If yes, it’s going to be an interesting legal walk we’ll be doing,” Bennett said. “If no, then these microbreweries, for lack of a better way to describe them, are going to be opening up in the community. The city council recently enacted a six-month moratorium on marijuana growing facilities to study the issue. The Old Orchard Beach Town Council enacted a similar moratorium before approving an ordinance last year. We’re sorry, an error occurred while processing your request. 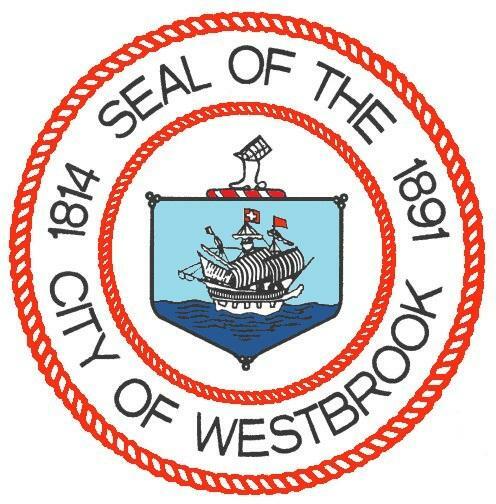 Westbrook officials on Monday discussed the municipality’s options for regulating marijuana, with emphasis placed on what would happen if the November statewide referendum to legalize recreational use is approved by voters. City Council President Brendan Rielly said he would look to ban marijuana in the city if the referendum is approved in November, but city attorney Natalie Burns has said it’s unclear if an outright ban is an option. “I can’t imagine that we’d want to allow more drug use at the same time that we’re fighting an epidemic of drug abuse,” Rielly said. The city may look to pass a moratorium in November to give officials time to decide on regulations, but that moratorium would hinge on the referendum results. Much of the conversation also centered on the increased presence of what are known as medical marijuana “caregiver” growing operations, a legal source for medical marijuana patients that is regulated by the state. Caregivers are allowed five patients and can grow up to six plants per patient. 5/16 at 11:11 a.m. Primo A. Tosi, 30, of Gorham Road, was arrested on Gorham Road by Officer Scott Vaughan on charges of criminal mischief, domestic violence assault, reckless conduct and illegal possession of a firearm. 5/16 at 4:57 p.m. Amita R. Gelinas, 22, of Cedarbrook Drive, was arrested on Cedarbrook Drive by Officer Benjamin Landry on a charge of domestic violence assault. 5/20 at 3:50 p.m. Raelyn K. Knowles, 21, of Allans Pond Road, Casco, was arrested on Gallery Boulevard by Officer Michael Thurlow on an outstanding warrant from another agency and a charge of theft by unauthorized taking. 5/20 at 3:50 p.m. Phillip L. Smith, 21, of Cumberland Avenue, Portland, was arrested on Gallery Boulevard by Officer Michael Thurlow on charges of violating a protection order and failure to provide correct name, address and date of birth. 5/20 at 8:12 p.m. Richard J. McKinnon, 62, of Green Street, Biddeford, was arrested on northbound Route 701 by Officer Michael Thurlow on charges of operating under the influence and operating with a suspended or revoked license. 5/20 at 11:51 p.m. Brandon S. Perry, 23, of Jasper Street, was arrested at Pine Point Road and U.S. Route 1 by Officer Benjamin Landry on a charge of violating conditions of release. 5/20 at 11:51 p.m. Abigail L. Bruni, 22, of Jasper Street, was arrested at Pine Point Road and U.S. Route 1 by Officer Benjamin Landry on a charge of unlawful possession of scheduled drugs.